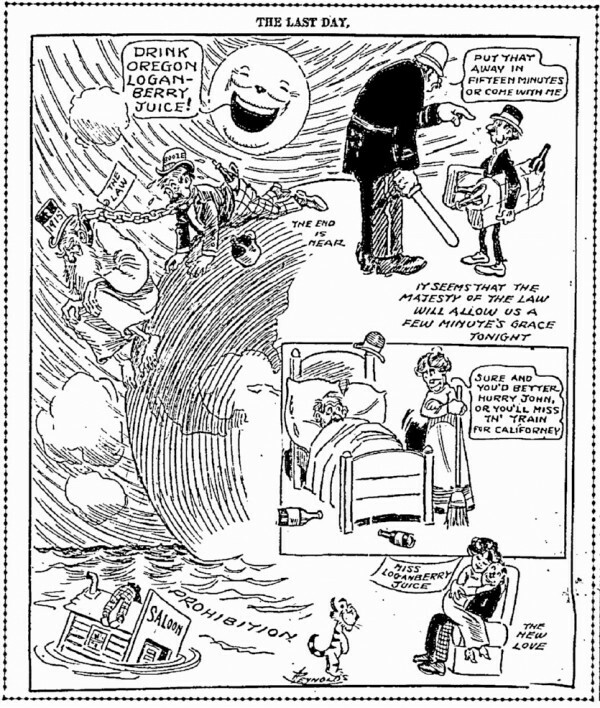 Three years before Prohibition took effect nationwide, the Oregon Legislative Assembly passed the Anderson Act, which prohibited the consumption and sale of alcohol in Oregon after December 31, 1915. Here we are at the saloon’s last day on Oregon earth. The gibbet is ready. The rope is rigged and tested. All the formalities of the execution are arranged. Capital punishment has been taken off the shelf for the great occasion, and it will be a public hanging. 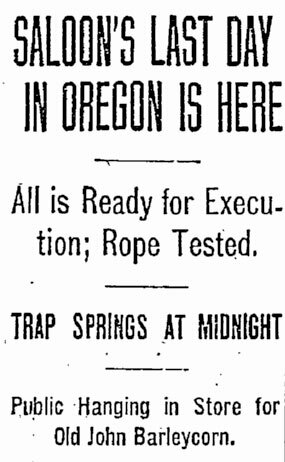 January 1, 1916 was a dark day in Oregon history. Of course, prohibition was a failure – soon enterprising individuals -and organized crime- filled the void with illegal stills, rumrunning, and speakeasies. Mercifully in 1933 the failed experiment was repealed on both the federal level and in Oregon. In Oregon this did not, however, mark the end of government control of liquor – the Oregon Liquor Control Commission (OLCC) was established that year, and continues operating today, to selectively regulate liquor production and sale throughout the state.